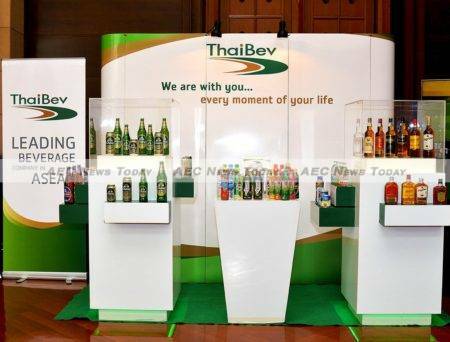 As part of its plan to see half of sales occur in overseas markets by 2020 Thai Beverage Public Company Limited (ThaiBev) announced mid last month that it had entered into a nationwide distributorship deal with Cambodia’s Attwood Cambodia for its Chang (‘elephant’) beer. The signing comes hot on the heals of the Asean Economic Community (AEC) foundation on December 31, a region that ThaiBev chief executive officer Thapana Sirivadhanabhakdi has previously noted comprises a market of more than 600 million consumers providing a large sales target for the Thai beverage producer. The company expects half of sales to be in overseas markets by 2020, he said. In addition to Chang beer, ThaiBev also produces a range of white and brown spirits, drinking water, electrolyte beverages, energy drinks, Oishi tea and ready-to-drink coffee, although its spirits cannot be exported outside Thailand because they do not meet international standards. ThaiBev also has significant operations in Europe producing malt Scotch whiskey, vodka, gin and liqueurs, with more than 20 distilleries in Scotland, France, Poland, and Ireland. The company aspires to become a bigger global player. In 2013, it increased its presence in the region by purchasing Singapore’s Fraser and Neave (makers of Myanmar Beer and Andaman Gold) for US$11.2 billion. It has developed international marketing campaigns, especially in sports, as well as implemented a merger and acquisition strategy with companies across a broad range of industries – from non-alcoholic drinks to real estate in Asean – to increase its presence as an international conglomerate in these foreign markets. The Cambodia agreement with Attwood is seen to replace Heineken in the Attwood portfolio which it lost last year when Heineken’s Asia-Pacific branch bought Cambodia Brewery Ltd. to distribute the brand. This left Attwood, which distributes a range of premium wines, champagnes, and spirits throughout the kingdom, with no beer offering until it signed an exclusive Cambodia distribution agreement in September last year with AB InBev for Corona beer in Cambodia. Local observers say Cambodia and Angkor beers are the most popular, but Chang might compete with Singapore’s Tiger beer for the third slot (the Cambodia beer market is small: 136 million litres, compared to Thailand’s 1.8 billion litres). Expansion into Cambodia comes after beer sales in Thailand experienced negative sales growth in 2014, although there are a number of possible explanations. The dramatic slowdown in Thailand’s economic growth compared with its AEC partners has prompted a rise in household debt. Disposable income has also significantly reduced, now equalling levels prior to the May 2014 coup d’état. Additionally, the excise tax rate on beer was raised in September 2013. Chang beer has an interesting history. It was introduced in March 1995 with an alcohol content of 6.5 per cent, higher than any of the beers produced in Thailand: a level more common in heavier styles, such as dark beer and stouts, rather than lager. However, since the launch, that alcohol content has been continually lowered and is now just 5.5 per cent, only marginally higher than the 5 per cent of the majority of Thai-produced beers. ThaiBev curtailed its line expansion in 2015 by ending production of its two lower-alcohol beers, Chang Export and Chang Draught. Both beers contained five per cent alcohol. While ThaiBev might aspire to being a bigger global player, at home it plays a distant second fiddle to Boon Rawd Brewery (BRB), the producer of Singha and Leo beers. While the latter claims a 59 per cent share of the Thailand beer market (the low-priced Leo beer alone counts for 32 per cent of the beer sold in Thailand), ThaiBev trails a distant second with 32 per cent. Thai Asia Pacific, the producer of Heineken, has 4 per cent. Small, niche producers such as San Miguel constitute the remaining 5 per cent. In 2012, BRB established a 50/50 joint venture with Danish and International brewer, Carlsberg. The move was intended to promote the Thai group’s beers, including Singha and Leo, for sale outside Thailand, with a specific focus on Europe. Singha wants to double its proportion of revenues from outside Thailand to 20 per cent by 2015 and be in the top three brands in that region from its current tenth position, according to a Singha executive. 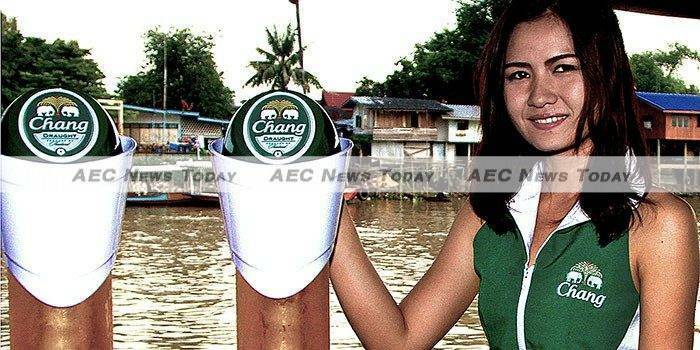 Carlsberg’s previous partnership in Thailand with Chang was an ambitious one because the Danish brewer folded in all its Asian assets. 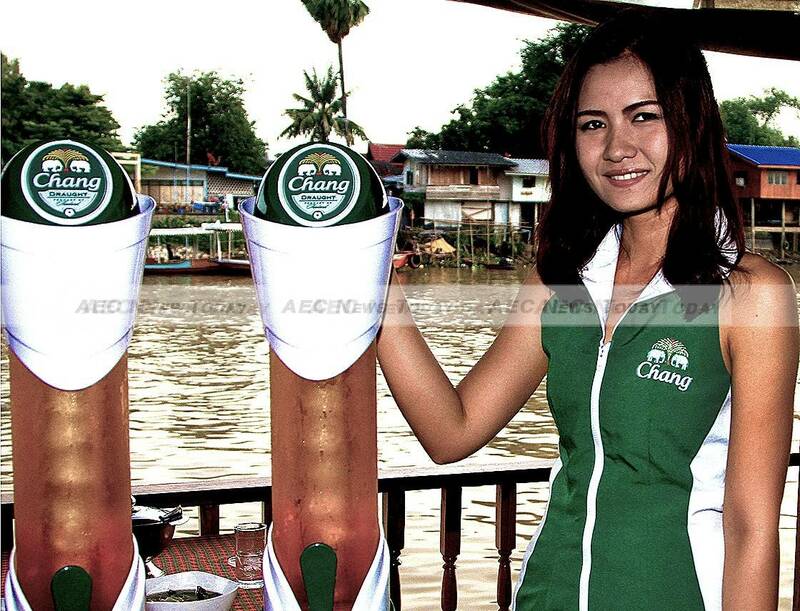 But Carlsberg pulled out, leading Chang to sue it for $2.5 billion. The parties eventually settled for $120 million. Beer accounts for 54.81 per cent of the alcohol excise tax reaped by the Thai government. Cheap, potent rice wine sold almost everywhere and known locally as ‘lao khao‘ accounts for a further 15.04 per cent, with the balance obtained from other locally produced spirits, and imported wine and spirits (Thai wine production is quite small in volume).